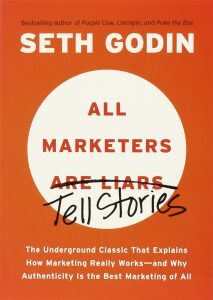 I just finished reading another book by Seth Godin. All Marketers are Liars . It was a great book, and I highly recommend it to anyone who is trying to sell a product or service. The book dives into the reality of how marketing works, how marketers have used it to their advantage, and the true value behind being authentic with your marketing. The reality is this: All marketers tell stories. The stories may or may not be true, BUT those stories impact the consumers buying decisions EVERY DAY. If your story is NOT true, and the truth eventually comes out, it will greatly impact your brand’s reputation. Now, some brand’s false stories will never be proven false, and that is sadly the truth. This is the power of a story. A story shapes a belief about a brand. With an authentic story, you can literally change the world. A story can also penetrate a worldview, and once that happens, people in that worldview will share your brand with others. The sad thing is that most brand’s do not think in terms of story. They think in terms of push marketing – how do we drive more interactions with our brands by pushing ourselves on them. Yet, they are unknowingly telling stories along the way, but probably not the stories they want to be telling. Seth covered a lot in this short book . Grab your copy today and let me know what you think! Video use to be something special. Something only big brands had. That has changed and is now a necessity for ALL brands. However, just having video content is not enough. You need to make sure your video content is catered to the needs of your consumers or followers. Adweek just posted a great infographic showing a breakdown of what consumers want in video content. Check it out below, and if you need help discussing how video could help you and your brand, shoot me a note. I’d love to setup some time to help you process and strategize. Below is my latest article, posted on sulastudios.com. It is amazing to watch how quickly technological and social advances change our culture. It was not too long ago when having a website and being on social media were the “things to do” to succeed online. As we shared in a recent blog post, the attention span of the average adult is only 8.25 seconds! This is evident in how people now spend the majority of their time – quickly scrolling over images in their Instagram feed, swiping through FlipBoard, and turning to their phone during TV commercials. We are visual. For most, we prefer images, infographics and of course video over reading long paragraphs of text. We want our information, and we want it quickly. And I don’t blame anyone. This is why social media platforms have made large shifts in their focus, giving higher priority to images and video content. This is also why video is growing in popularity on websites. In our recent blog post, Why 2017 is the Year for Video Marketing, we shared that websites that contain video have on average an extra dwell time of 2+ minutes! Websites that contain video have on average an extra dwell time of 2+ minutes! Think about that for a moment. If the average dwell time on your website is currently 1.5 minutes, adding videos may boost that up to 3.5 minutes or more! The reason for the growth is simple. People are more willing to watch a short video describing your product, service or even company culture than they are to read long sections of text. This does not mean that text is not important – it is. However, what is more important is a balance of both video and text. We would love the opportunity to help you brainstorm the best use of video for any of your digital efforts. 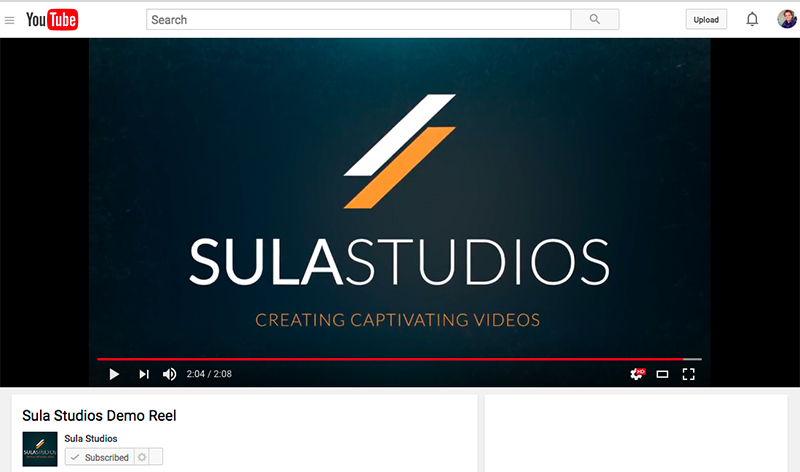 Just shoot us a quick note at hello@sulastudios.com. We would love to treat you to coffee and strategize about the best methods to help you reach your goals. A new year is upon us, and for a lot of people, this means New Year’s resolutions. However, many people do not make it past week two with their resolutions. The reason for this, in my opinion, is that people do not properly set/prepare for their goals. I learned many years ago the importance of dreams and goals. Dreams give you things to look forward to. Things to move towards in life. Things to accomplish in life. Goals help you reach those dreams. Napolean said it well when he said, “A goal is a dream with a deadline.” And for most dreams, there are many goals that have to be accomplished to reach your dream. People often think of goals in 12 month periods of time – such as New Year’s resolutions. This is where I have learned to rethink goals. Yes, long-term goals are important. However, I highly recommend setting shorter goals as well. This is why I set monthly goals that help me reach my yearly goals and dreams. I set yearly goals to help me ensure I am reaching my dreams – but I need to take monthly steps to get there. Yearly goals can also feel overwhelming – which can cause people to give up or even forget. Monthly goals break it down into more manageable steps. I also encourage you to write down your goals. Get them down in front of you, and put them someplace where you will see them often. I am personally motivated when I review my goals every Monday morning. It helps me stay focused on what truly matters each week. How about you – do you set goals? What strategies for goal management work for you? With more than 300 million daily active users, Instagram quickly became a global giant, with over 95 million photos & videos added daily! Instagram quickly became a global giant, with over 95 million photos & videos added daily! Instagram, who is owned by Facebook, is becoming more popular by the day, outpacing other know social sites like Twitter, Vine, and Snapchat. 1. Should I use Instagram? Yes, the stats above should easily convince you of the need to be active on Instagram. It is a quickly growing platform with more users signing up and actively using it every single day. 2. Should I use video on Instagram? The use of pictures and video is the primary reason for the success of Instagram. We live in a visual culture. People want to interact with imagery and video more than they want to read text. This time is extremely valuable! 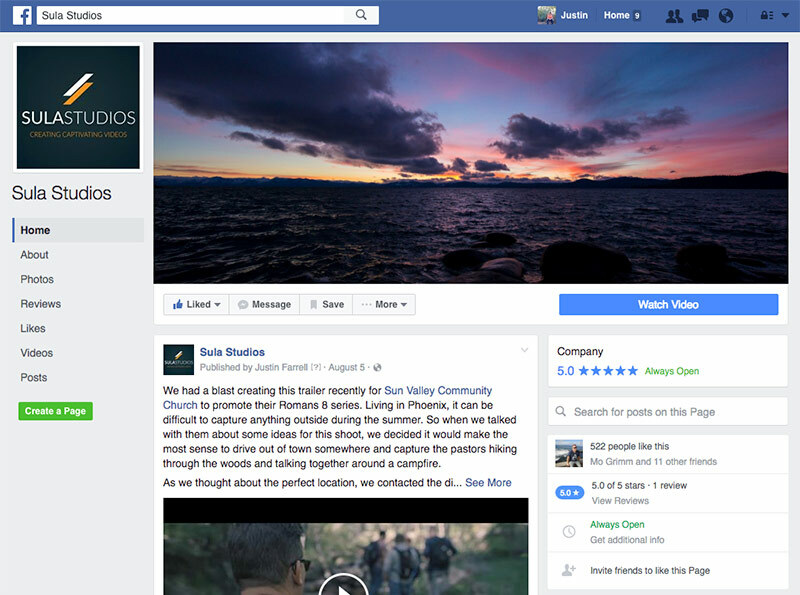 Video allows you to provide more detail about your product / service, give some behind the scenes action to build your brand values and allows you the opportunity to connect on a personal level with your audience. Yes, Instagram videos are short, but that is okay. People’s attention spans on social media are typically pretty short. You can upload a maximum video length of 60 seconds on Instagram – yet you can still do a lot in that 60-second timeframe! Due to the condensed time, it is even more valuable to adequately consider the strategy behind the video to make the best use of the time and to capture the viewer’s attention out of the gate. We would love to provide you a FREE evaluation of your current Instagram feed and recommendations for the best use of video in your social strategy with Instagram moving forward. 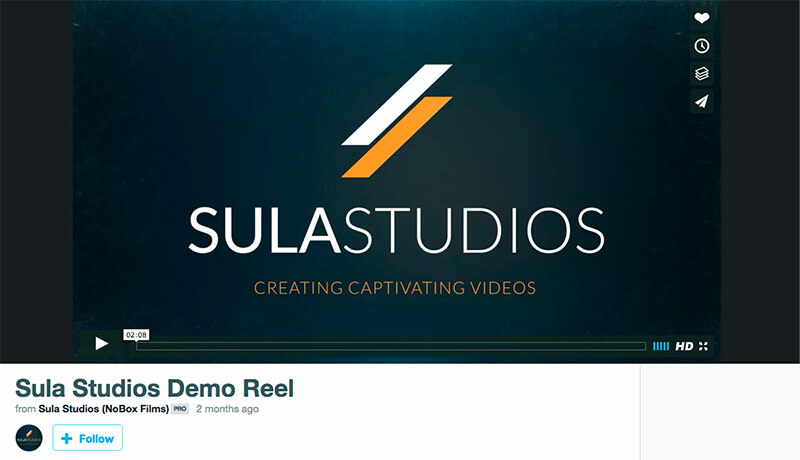 Shoot us an email at hello@sulastudios.com – we would love to help! Who said #vegan food had to be boring? Take a look at this stunning spiral vegetable tart! Visit homemadebyyou.co.uk and search ‘Vegetable Tart’ for the RECIPE.